Deejay worked as a pub landlord before moving into the third sector in the late 00s, establishing and leading a number of support groups. 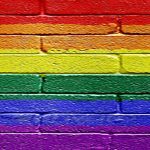 Deejay is the founder and chair of Four Pillars, Grampian’s LGBT+ Charity working closely with other organisations across Grampian to support all aspects of mental, emotional, physical and sexual health. In his spare time Deejay works as a resettlement worker for Aberdeen Cyrenians, supporting individuals within the service. Alec has lived in Aberdeen all his life and for the past 22 years worked for Shell, currently as an IT Business Analyst. In that time he has been the co-chair of the Shell LGBT+ Employee Network and is now their Aberdeen Office Rep. In his spare time he plays the Tenor Sax in the Dyce Committee Music Group and enjoys karaoke. Grampian Pride would be impossible without our team of amazing volunteers, and it’s Myshele and Iina’s job to look after the volunteers and keep everyone moving in the right direction. Myshele also does most of the design work for Grampian Pride, alongside work for GREC and a range of activist pursuits. Her favourite colour is rainbow. Iina works for Aberdeen University Students’ Association. Jade’s job is to make Grampian Pride look fabulous! She works as a Community Development Officer with Aberdeen City Council and also volunteers with the Bridging the Gap with Kinship Support SCIO. She loves planning things and crafting, so when the opportunity to help out with Pride came up she jumped at the chance. Scott is a music lecturer at North East Scotland College, with extensive experience performing in the music industry, teaching and coaching worldwide. 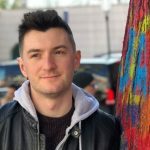 He is organising and managing the entertainment for all venues supporting Grampian Pride, and is also a judge on the panel for Grampian’s Got Talent. 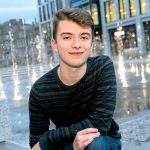 Jordan runs a small, local music label (88 Records), and he volunteered at Grampian Pride last year. This year, he is organising and managing the acts on the main stage. He’s excited for the challenge and thrilled to be able to help out with Pride in a more responsible role. Sara has worked for Aberdeen City Council for 30 years, in childcare and youth work, and for 3 years she has looked after the day-to-day running of 5 community/learning centres in Aberdeen. She’s been married for 28 years, with 3 kids and 2 grandchildren that are her world. She enjoys holidays abroad and being creative, and she’ll try her hand at most things. 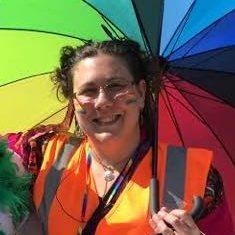 Ellie has worked with Zone Youth LGBT+ for 10 years. She is passionate about young people’s voices being heard and for young people to be involved in raising awareness surrounding homophobia and transphobia. On a personal level, she likes gin and holidays in Spain. Duncan has lived in Aberdeen most of his life, though he spent a couple of years in Australia and he has a passion for travelling the world. He has worked in the Oil and Gas industry as a Quality, Health, Safety and Environmental Advisor for the last 6 years, and he is currently studying for a degree in Environmental Management and Technology – a change of direction from his original studies in visual communication and photography. Chris loves to explore and to learn. He has worked with young people as a teacher and a camp counsellor and volunteers with the local LGBT+ community. In his spare time he likes to explore and go hiking in new parts of Aberdeen and the Shire.